Officials in northwestern China are reported to have banned baby names with strong religious meanings. American-based broadcaster Radio Free Asia reports that the officials work in the Xinjiang Uyghur Autonomous Region. 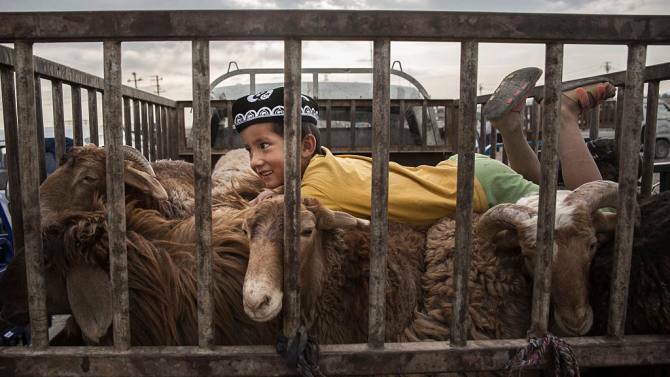 Uyghurs are a mostly Muslim ethnic minority in China. Mecca, Saddam, Hajj, Islam and Medina are among the names that parents are not permitted to give their children. The ban is part of the Chinese Communist Party's "Naming Rules for Ethnic Minorities," an official said Thursday. A naming ban reportedly took effect in the southern part of Xinjiang in 2015. Now, Radio Free Asia (RFA) says, Chinese officials are enforcing the ban throughout the area. RFA and VOA are each part of the U.S. government-supported Broadcasting Board of Governors. A worker who answered the telephone at a police station in Xinjiang's capital, Urumqi, said that "overly religious" names are banned. The worker said that any babies registered with such names would be barred from the government system that gives the child rights to education and health care. Another person told RFA that the safest names for Uyghurs to name their children are those that sound more "mainstream." "I have been talking with friends in Xinjiang about this, and they all say that any with potentially extremist overtones will be banned," the person said. "But names like Memet ... that you see everywhere, are considered more mainstream by the Chinese Communist Party." The Chinese government aims to limit what it calls religious extremism in Xinjiang. Officials often carry out what have been called "strike hard" campaigns. These include police raids of Uyghur homes and restrictions on Islamic customs, as well as placing limits on the culture and language of the Uyghur people. Last month, Xinjiang officials reportedly dismissed a Uyghur official for holding her marriage ceremony at home – following Islamic traditions -- instead of at a government-approved area. Local people claimed that the woman was removed from her job for taking her marriage declarations — known as "nikah" in Muslim culture — in her own home. I myself will firmly carry out this plan. Lots of people don't bother to go through a marriage ceremony these days. 1.These include police raids of Uyghur homes and restrictions on Islamic customs, as well as placing limits on the culture and language of the Uyghur people. 2.A naming ban reportedly took effect in the southern part of Xinjiang in 2015. The aspirins which the patient had taken soon took effect. It was nearly an hour before the sleeping pill took effect.